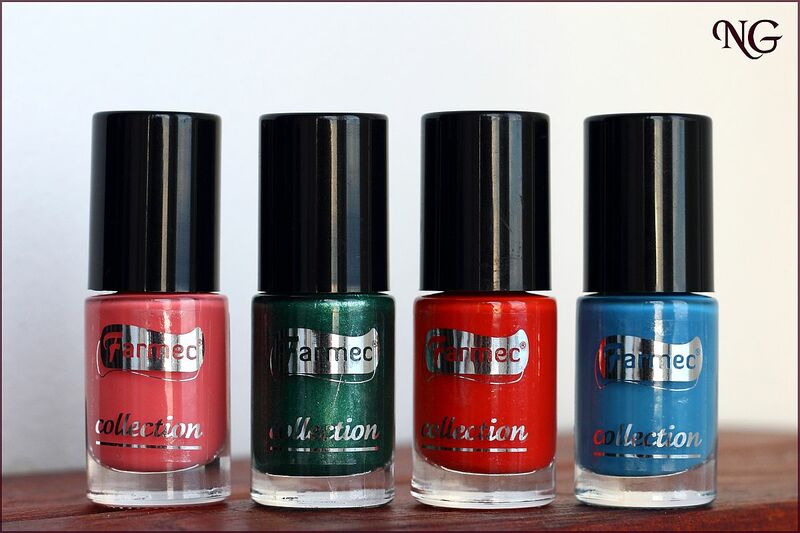 I have recently got a pleasant surprise from Farmec: they have sent over 4 polishes from their new collection :-). 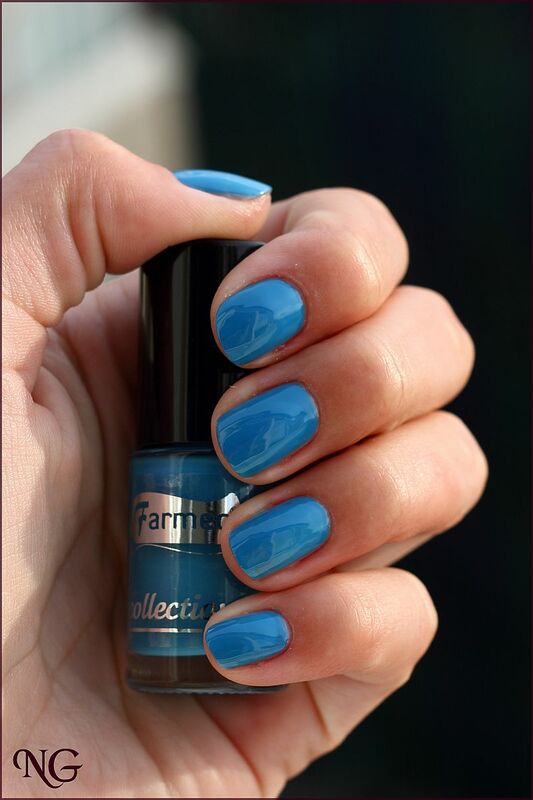 Farmec has been producing polishes for a while now, but this is the first collection with such vivid colors. Yeeee! 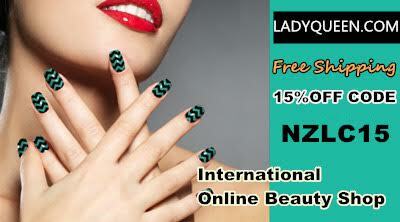 The new collection is also available online, here. An interesting fact about this collection is that the shades will changed continuously and will be adapted to the actual trends and season. 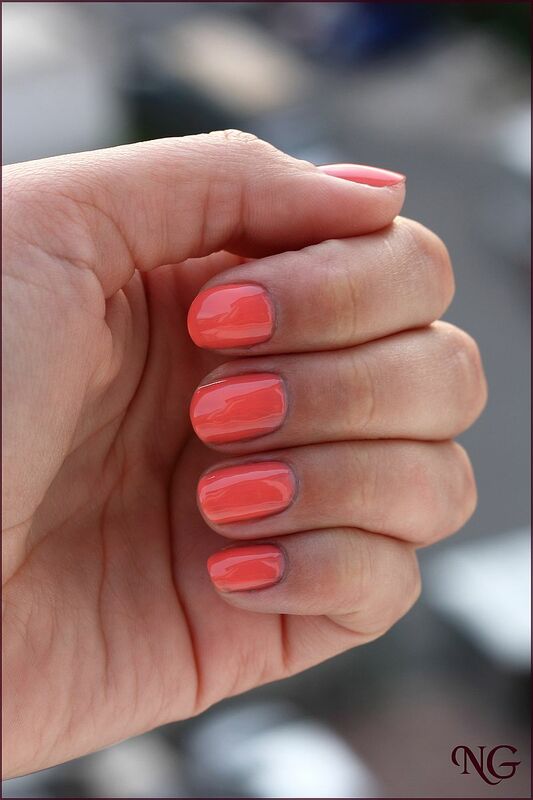 they look a lot better applied on the nail than they look in the bottle. So don't be fooled by appearances! I will present you the polishes in the order in which they appear in the picture above, from left to right. 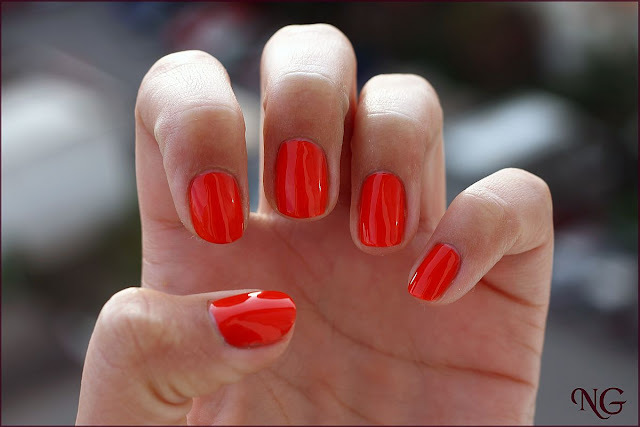 All polishes were applied in 2 coats and all pictures were taken in natural light. 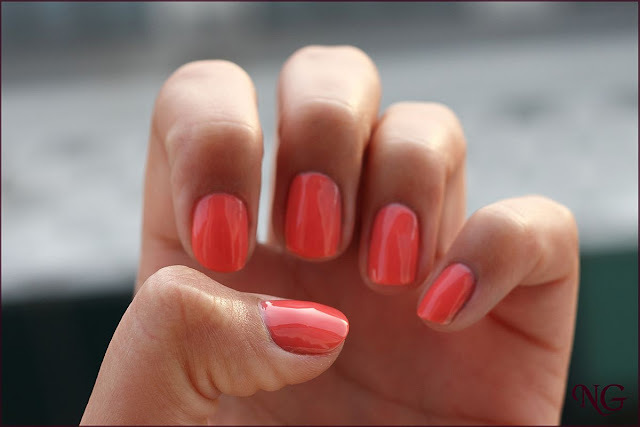 Light pink color, that reminds me of flamingos :-). 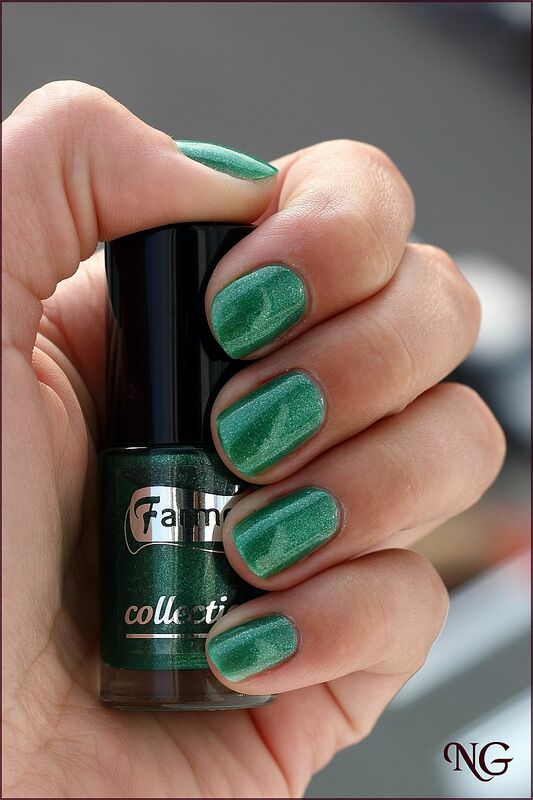 At first I thought it was a classical red polish, but once again the new Farmec Collection has pleasantly surprised me! This one is an absolutely amazing deep coral shade. 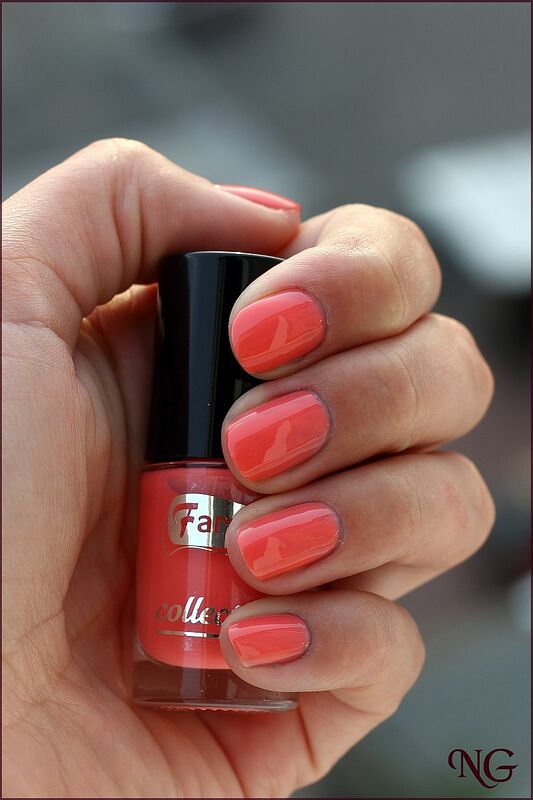 My first ever coral polish, by the way, and love at first sight! With the danger of repeating what I already said: LOVE LOVE LOVE! What really surprised me about this blue polish was its formula. 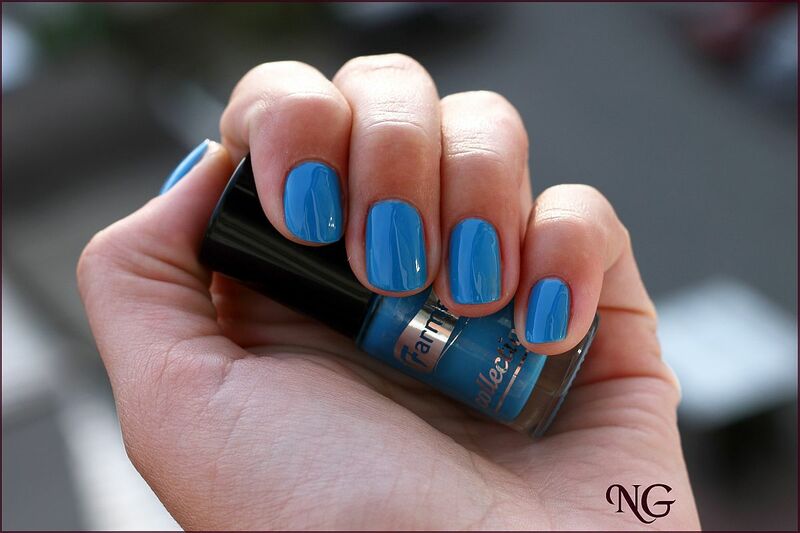 Blues are usually very sheer and need to be applied in several coats. But not this one. If applied thicker, even one coat will suffice. 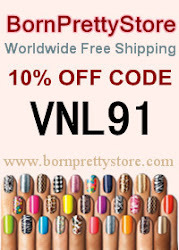 All in all, these polishes are fabulous, believe me. I am not exaggerating! It was such a pleasant surprise that they look better on the nails than in the bottle. 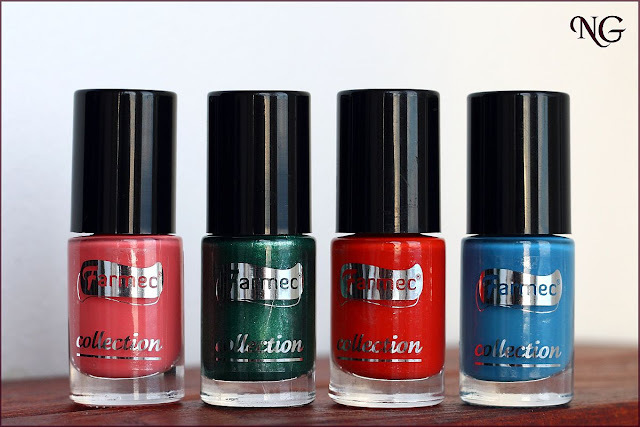 Things usually happen the other way around with nail polishes, but these Farmec polishes really "shine" when actually used! Mi-am luat si eu una, imi place la nebunie <3 Acum o sa caut si Exotic Dream, e dementialaaa! 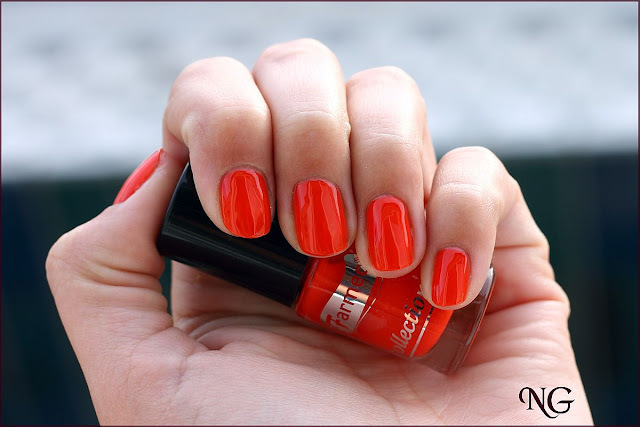 Exotic dream m-a surprins cel mai tare! M-am asteptat la o oja rosie si am primit aceasta frumusete. Sunt niste nuante foarte reusite. Eu le iubesc! Imi plac toate f mult, insa daca e sa aleg una singura, Flip-Flop arata senzational. Flip-Flop am acum pe unghii. E frumoasa si rezista bine pe unghii. Cea verde e frumusica tare! Foarte frumoase sunt toate! Nuantele sunt fantastice! Vreau si euuuu :X sunt foarte frumoase!